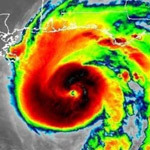 Fema simulated a Category 4 hurricane strikingly similar Hurricane Florence, months before the storm actually hit. The simulated storm, which was named "Hurricane Cora" - was modeled to charge up the Chesapeake Bay and strike Washington, D.C. - devised by Federal Emergency Management Agency (FEMA) and Argonne National Laboratory. The simulated Cone graphical forecast for Hurricane Cora was used for the 2018 National Level Exercise, although it wasn't an actual hurricane instead, is used to test how prepared the US for hurricane impacts. 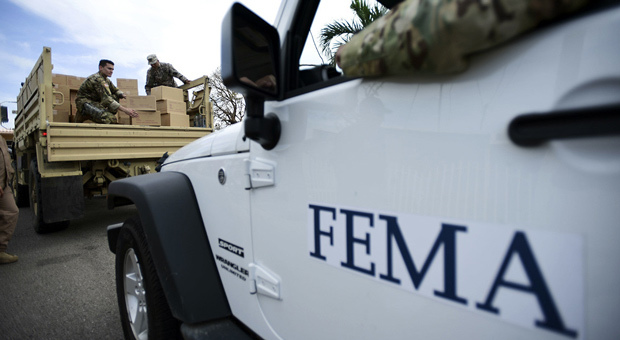 According to the Associated Press (AP), the computer models revealed a "catastrophic damage" from the hurricane, with experts warning that Florence could produce a disaster similar to 2005's Hurricane Katrina. 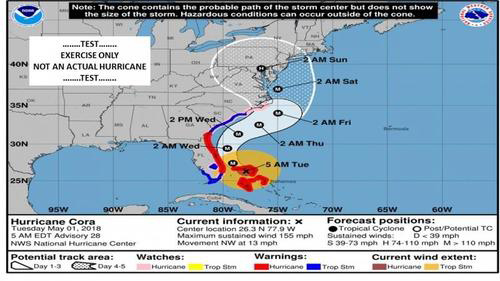 According to ZH: The fictional hurricane knocked out the power grid for most gas stations in the Mid-Atlantic region, severely damaged a nuclear power plant, and blocked critical shipping channels in the Chesapeake Bay, according to a Department of Energy simulation manual. 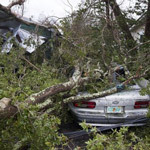 On Wednesday, the National Hurricane Center (NHC) said the storm was 575 miles southeast of Cape Fear, North Carolina. It had maximum sustained winds of 130 mph and could make landfall in the Carolinas by the end of the week. 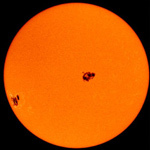 AP also said the fictional storm made landfall in the densely populated Hampton Roads region, causing a massive 15-foot storm surge and more than 9 inches of rain to the coastal area within the first six hours of landfall. Models showed main routes -- used for evacuations as well as for first responders -- in and around the coastal regions of Virginia, were severely damaged and allowed a delayed response of search and rescue teams. 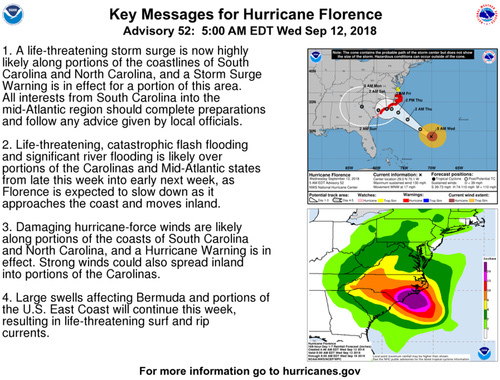 Ed Vallee, a meteorologist at Vallee Wx Consulting, warned that "Florence will approach the Carolina coast Thursday night into Friday with winds in excess of 100 mph along with flooding rains. 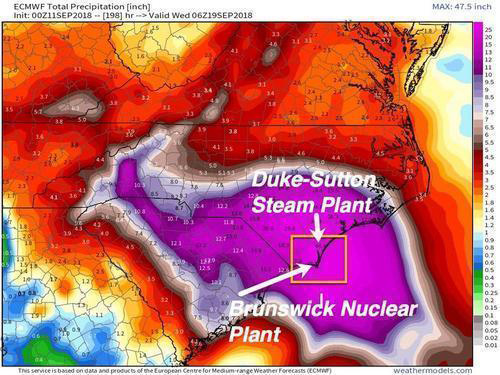 This system will approach the Brunswick Nuclear Plant as well as the Duke-Sutton Steam Plant." "I believe that those patterns are also going to manifest in Hampton Roads if and when a large storm hits," he said. "The vulnerability of our populations are quite similar to New Orleans. Displacement, pain, suffering, property loss. All those things are going to play out in a fashion that has parallels to how Katrina played out." 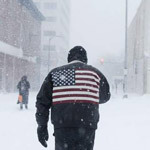 AP warns that Hampton Roads, a coastal region inhabited by 1.7 million people in cities such as Norfolk, Virginia, and Virginia Beach, could experience difficulties in evacuations. "You can't go north because of the Chesapeake Bay," she said. "You can't really go south, and in this case you wouldn't want to because the storm is that way. You generally want to go west, but again there are lots of water bodies."